The Songbird Magnet is used to attract desirable songbirds and Purple Martins with it's easy-to-use electronic bird caller. With it's clear sound quality, it can call birds from next door or farther away. Types of songbirds this unit will attract: Baltimore Oriole, House Finch, Indigo Bunting, American Goldfinch, House Wren, and Northern Bluebird. Tomcat Mouse & Rat Attractant Gel is rated 4.1 out of 5 by 72. Rated 4 out of 5 by Mikec716 from Worked great !! I found a mouse in our bedroom closet, the little bugger found a small treat to feed on. 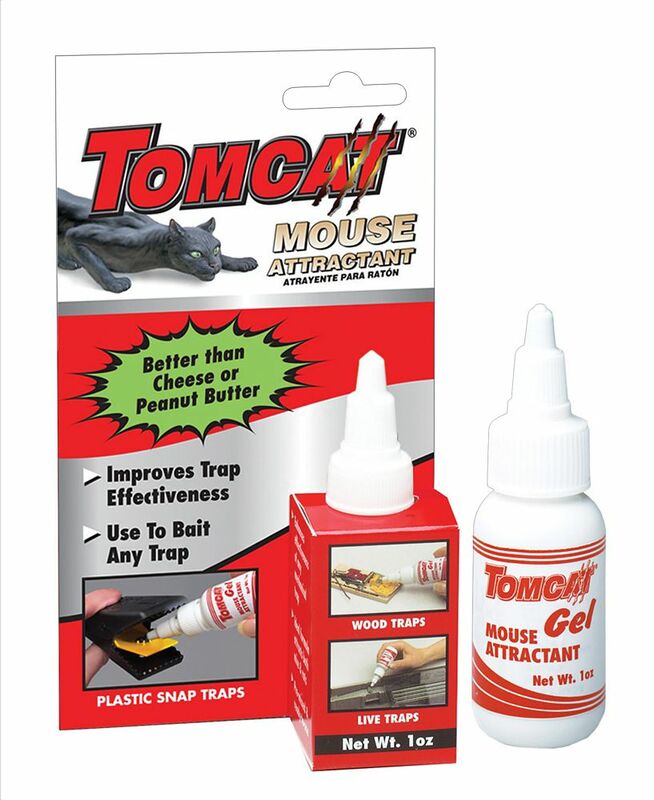 I bought the Tomcat mouse attractant gel and a few Tomcat spin traps and some old fashioned Victor snap traps. I baited all of the traps with the gel. the mouse ate all of the gel off the old fashioned snap traps and then went right into the spin trap and met his demise. I feel the product worked, its been three weeks and I have baited traps all over my house, tomcat gel and peanut butter, have not caught another mouse, have seen no droppings and the traps are untouched. So maybe the tomcat people can answer my question , do you think my mice are gone?? Rated 4 out of 5 by Mouse Gel from Actually it does work I've used it in my shed and this time, unfortunately in my house. I saw previous reviews and wondered why such lousy success. One thing I do after a kill... I renew the Gel as it solidifies or the mouse has gotten away with consuming it all. I use it with this trap shown. Every trap works better if one eliminates the alternative food sources but I have caught mice with this trap when they had other food, human food. The problem is they don't just choose one thing to eat. Rated 1 out of 5 by MascaraGeek from Doesn’t work Use peanut butter instead. This stuff didn’t work at all. Rated 5 out of 5 by Katt1961 from Excellent & is nontoxic to humans and animals. Fantastic product, works like a charm. My house is now mouse FREE. I would recommend this to everyone. Nontoxic and the Price is affordable. Rated 1 out of 5 by GTA72 from did not work at all It says right on the package it's better than cheese or Peanut Butter, so I thought I should give it a try. out for a week, nothing, tried refreshing it, nothing. last night I covered it in bacon fat and this morning all the fat was gone, but the Tomcat bait wasn't touched and the trap was still set. Last night I also put out another trap with some Manchego cheese on it (they seem to love it): 1 night, 1 mouse. at least I didn't waste much money on the tomcat bait.